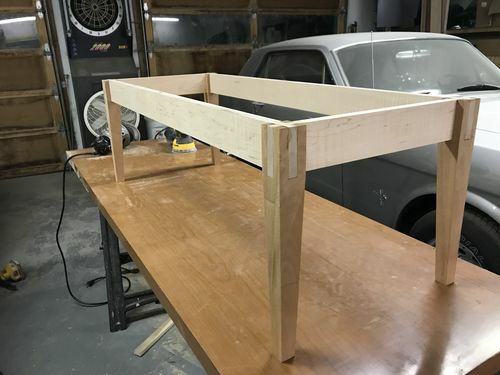 Due to the 8/4 material I used for the legs, the 4/4 aprons needed to be rebated to maintain their proportion to the legs and the integrity of the leg mortises. 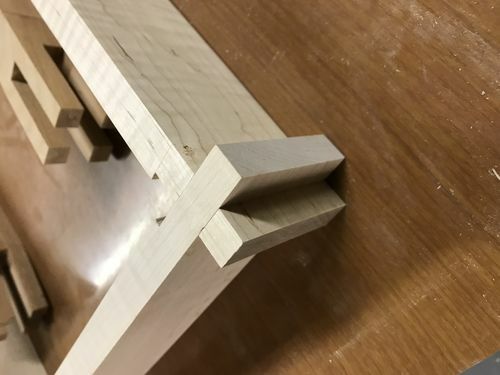 Machining the rebates in the long aprons was part of the reason I built the miter gauge extension, the other being the notches for the cross lap between the aprons. 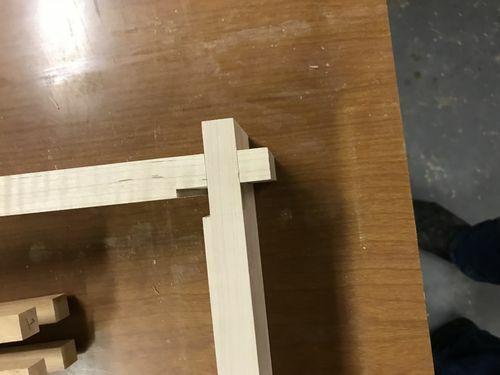 I completed the machining after work yesterday and fit the parts together; the fitting was minor a few swipes of a chisel and light sanding and I had a good tight fit. Next I assembled the aprons and and then added glue and tapped the legs on. Clamped it up and let it sit over night, pulling the clamps this morning. Next step will be some edge profiling on the legs and sanding.